IPI faculty members presented a number of panels, presentations, and precongress workshops at the International Psychoanalytical Congress in Buenos Aires in July 2017. 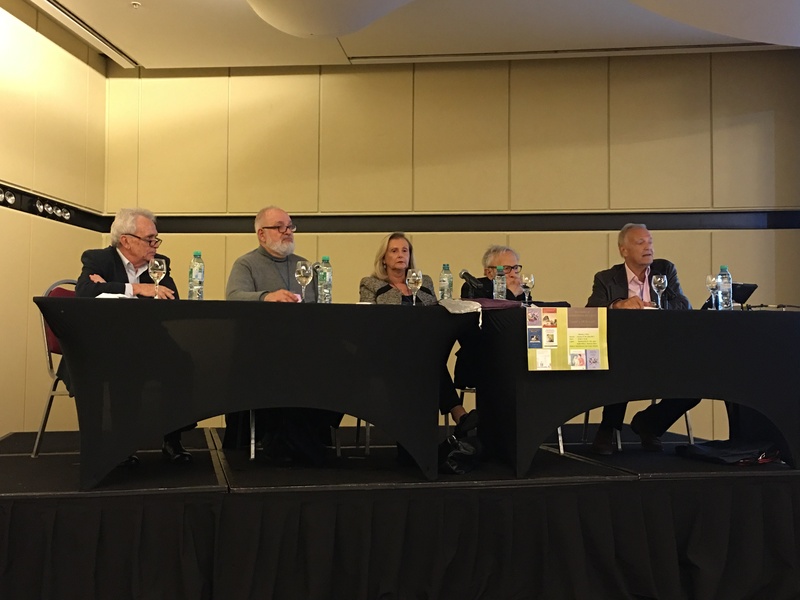 At one of those panels, David Scharff and Lea Setton invited Roberto Losso, Juan Tubert-Oklander and Joaquín Pichon-Rivière, to join them in presenting the ideas and applications of the late Enrique Pichon-Rivière (photo 1 and 2). 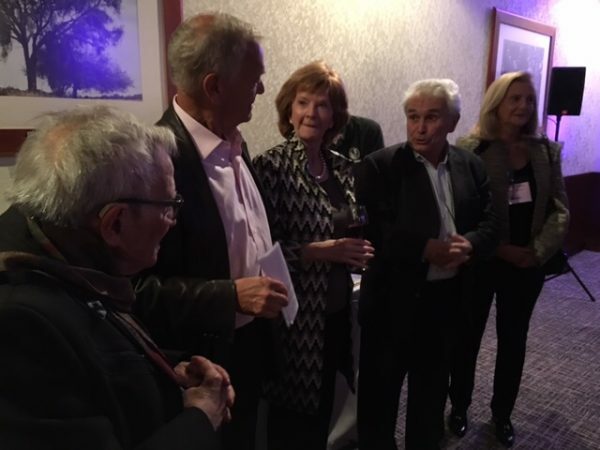 Later they gathered to celebrate the launch of their edited book The Linked Self in Psychoanalysis: The Pioneering Work of Enrique Pichon-Rivière edited by Roberto Losso, Lea Setton, and David Scharff, in English for the first time. (London: Karnac 2017) (Photo 3). The book launch: Roberto Losso, David Scharff, Jill Scharff. Enrique’s ideas are so original, and his early development so fascinating, that I wanted to share them widely, especially with young people who haven’t a clue about what a therapist or psychoanalyst actually does, or how an analytic approach can help. So I got the idea of writing the story of Enrique as a story to read to our children and grandchildren. Enrique Pichon-Rivière and his theory of the link. Once upon a time, there was a little French boy called Enrique who lived in Switzerland and France. When he was four years old, his parents took him with them on a long journey. They left their high class life in Europe and went to live during his youth for the next 17 years with the Guaraní tribe in the jungle of northern Argentina. Enrique saw scary pumas, jaguars, alligators, and snakes in that rainforest, but he learned to stay still and not be frightened. Enrique spoke French with his upper class parents, but he learned the Guaraní language too, so he got along with the local children, played ball with them, and knew their way of life. When he was eight years old he had to leave the jungle, speak Spanish all the time, and go to school in the town. But he always remembered his time in the primitive world of the jungle. When Enrique grew up he became a doctor and a psychoanalyst. Most of his friends were psychoanalysts, even his wife. A psychoanalyst is a kind and thoughtful person who helps us put our worries and bad memories into words and doesn’t get upset by our strong feelings. After talking with the doctor for a while, we have a new experience of ourselves in this new relationship. We then feel more confident in ourselves and get along better with our friends, our family, and our teacher or boss. Enrique noticed that psychoanalysts have problems too, and need help with how they think about things. For example, too many psychoanalysts that he met thought about only one patient at a time, and that person was usually just a grown-up. They forgot about the people we all live with, the children and families, and the world we inhabit together. But not Enrique. He saw the total picture. Enrique thought about everyone. He helped families to be healthy, talked to boys and girls about their worries, taught other therapists, and even helped companies and their workers to be successful. He always remembered his early life in the jungle, and cared about all people, rich and poor, and every level of society. He saw the world as being like a soccer field where everyone had an important part to play (even the ball) to make a good game. Every family is like a soccer field in which the children and the parents and the grandparents and aunts and uncles all teach the children how to play and run around with them They all take turns to kick the ball, receive a pass, defend the goal, and learn every position to play their part in the team. Noting that we live in groups and can’t exist without others, Enrique made his theory of the link. He said that a baby is born into el vinculo, a link that is there waiting to welcome the baby to the world and deal with the impact of the new family member on that world. Our family and our community shape who we will become, and equally we shape our family and our culture. Meeting with a psychoanalyst creates a new link, which changes the original link, and lets us recover our balance. Here is another of Enrique’s ideas about the link. The past, the present and the future are part of the link. They are in our minds all the time, even when we are not thinking about how they affect us. So it is important to remember what happened before we were born, even before our parents were born, and to look outside our own family to our place in school and wider community, if we want to know who we are. When one of us is suffering, he realized, that one is not the only one with a problem. That one is actually the spokesperson for a hidden group problem. With help from a psychoanalyst, that one can lead the way to solving an unrecognized mystery in the family or community. Enrique was an original thinker. His ideas were ahead of his time. But he had a problem. Although he loved to teach, he didn’t take enough time to write down his ideas. So he didn’t get full credit for being such a pioneer. Although his students loved his ideas and wrote down what they remembered, they did it in Spanish only. Sadly Enrique’s ideas remained unknown to psychoanalysts in Europe and North America. That is where The International Psychotherapy Institute (IPI) enters the story. Lea Setton, IPI faculty member and IIPT supervising analyst, read all of the Spanish journal articles by and about Enrique and his theory. She consulted Roberto Losso, IIPT adjunct faculty member, and together they chose the best parts and translated them roughly into English. Then their colleague Judith Filc in New York perfected the translation. Added to that, well known psychoanalysts who had known Enrique before he died wrote in English about their memories of him and what they learned about his ideas. 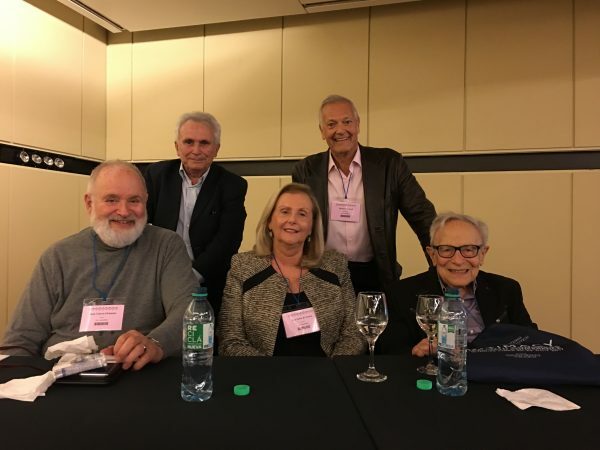 David Scharff, IPI Board Chair, faculty member and IIPT supervising analyst helped them put together all these papers and arranged for them to be published as a book The Linked Self in Psychoanalysis: The Pioneering Work of Enrique Pichon-Rivière edited by Roberto Losso, Lea Setton, and David Scharff (London: Karnac 2017). So now psychoanalysts who can’t speak Spanish can read the book in English and appreciate the powerful vision of this clever Argentine psychoanalyst and his theory of the link. That is the story of how Enrique Pichon-Rivière can now be known to people in Europe and North America — thanks to IPI.